The expedition will begin at the kayak launch site at the northwestern end of Park Drive on the Orchard Beach parking lot. We will kayak from this point around Hunter Island, at the northern tip of the park, east around Courtney’s Bay Island, and back. Participants will be encouraged to take photos and videos during the expedition and Charles Dennis will combine these into a video document of the expedition. Please meet us at the Orchard Beach Parking Lot on Park Drive. Kayaks will be available for participants to use through a generous partnership with HarborLAB. 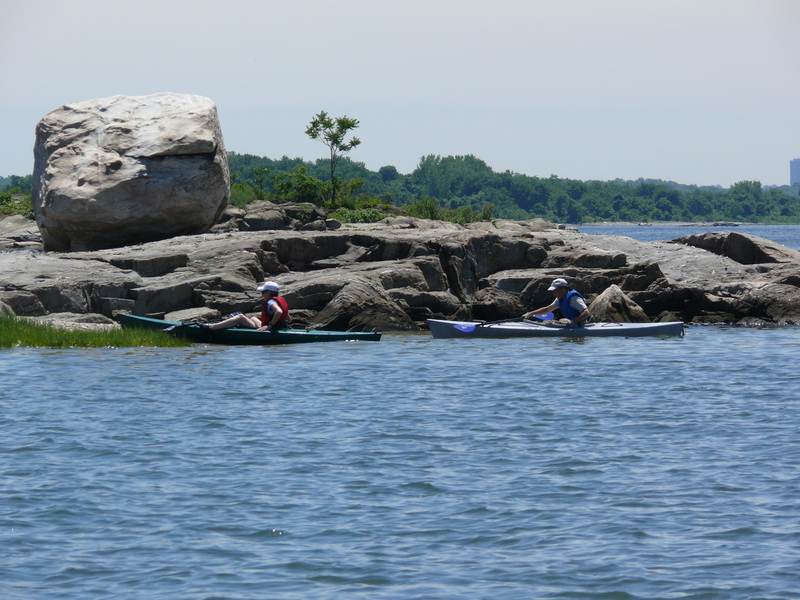 Participants can also bring and use their own kayak. Attendees should wear clothing that can get wet – shorts or a bathing suit are recommended as well as a hat and sunscreen. Appropriate footwear is also important – sandals, sneakers or water shoes to protect feet when walking in the water. Additionally, attendees should bring water and a sandwich or a snack; as well as any documentation materials they desire including sketchpads, cameras, and/or journals.